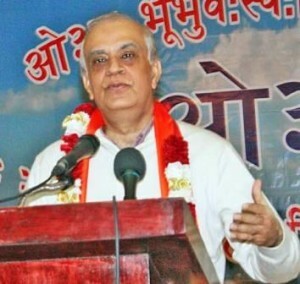 “‘Christian yoga’ is an oxymoron,” Malhotra says. “Some have responded by distorting yogic principles in order to domesticate it into a Christian framework, i.e. the oxymoron, ‘Christian Yoga.’ Others simply avoid the issues or deny the differences. Likewise, many Hindu gurus obscure differences, characterizing Jesus as a great yogi and/or as one of several incarnations of God. These views belie the principles stated in the Nicene Creed, to which members of mainstream Christian denominations must adhere. They don’t address the above underlying contradictions that might undermine their popularity with Judeo-Christian Americans. This is reductionist and unhelpful both to yoga and Christianity.” — from “A Hindu View of ‘Christian Yoga'” Huffington Post 11/8/10.